Ships Monday, April 22 if ordered in the next 1 day, 15 hours and 31 minutes! Natural Support for Everyday Optimal Health. TRC Nutritional Laboratories' Liquid Life Complete Nutrition is the perfect all-in-one nutritional supplement for today’s active lifestyles. Liquid Life Complete Nutrition has been designed to compliment Liquid Life Joint Care product (also available from our shop) but is equally excellent as a stand-alone daily nutritional supplement. Exotic Fruits - Mangosteen, Promegranate, Noni, Goji, Acai and Elderberry. Live Healthy with Liquid Life! 100% Natural Formula with NO articial ingredients. Minerals are Life Building Blocks that make vitamins and other nutrients more effective. 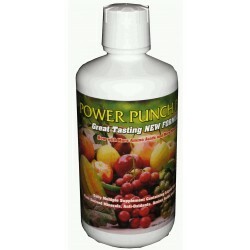 Now you can buy a product packed with a lot of Nutritional Punch! Liquid Life is… The Best Life Has To Offer. For adults: Take 1 to 2 fluid ounces (2-4 tbsp) with or after meals daily. For those with demanding, high energy lifestyles, use one ounce per 100 lbs of body weight. For children: 1 tsp per 20 lbs of body weight not to exceed 1 ounce. 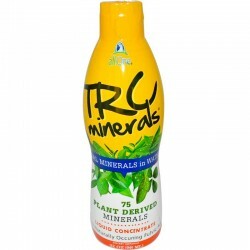 Naturally flavoured and ready to drink or mix with fruit juice or water. SHAKE WELL BEFORE EACH USE. REFRIGERATE AFTER OPENING. KEEP OUT OF REACH OF CHILDREN to avoid accidental ingestion. Warning: Women who are pregnant or likely to become pregnant should not exceed recommended dosage which would result in ingestion of more than 10,000 IU of Vitamin A from Retinol, which in high amounts is known to cause birth defects. 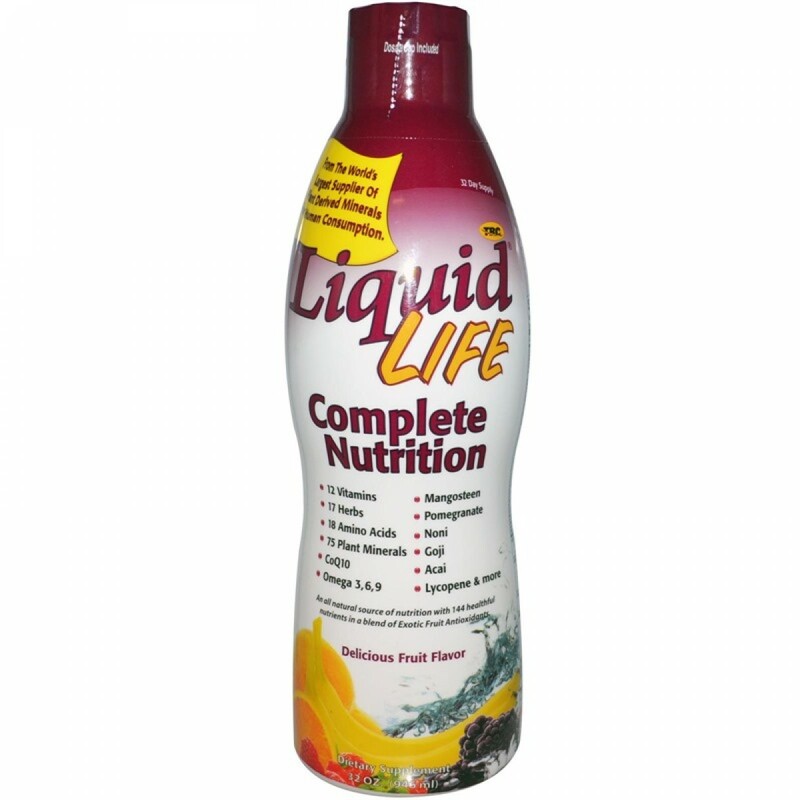 Liquid Life Complete Nutrition has been designed to complete TRC's Liquid Life Joint Care product (also available from our shop) but is equally excellent as a stand-alone daily nutritional supplement. For adults: Take 1 to 2 fluid ounces (2-4 tbsp) with or after meals daily. For those with demanding, high energy lifestyles, use one ounce per 100 lbs of body weight. For children: 1 tsp per 20 lbs of body weight not to exceed 1 ounce. Naturally flavoured and ready to drink or mix with fruit juice or water. SHAKE WELL BEFORE EACH USE. REFRIGERATE AFTER OPENING. KEEP OUT OF REACH OF CHILDREN to avoid accidental ingestion.